Shortly after my husband and I were married, I made the decision to cut bangs. I had been flirting with the idea for YEARS, and while I was driving home from work one afternoon, I made a spur-of-the-moment decision to pull into the closest hair salon and cut blunt, thick bangs. For the first 5 hours or so, I really loved them. They drew attention to my baby blue eyes, made my round face look slimmer, and added a bit of excitement to my look. But as I failed to ask the hairstylist how to style bangs before excitedly dashing off to take a couple of selfies to share on Facebook, I almost had to call in sick the following morning because I could not, for the life of me, figure out how to make them look good. No matter how many products or styling techniques I tried, I just couldn’t get them to lay against my forehead properly, and by the time I made it to my desk later that day, I was a miserable mess of self-hatred. Why don’t I ever think things through??? The good news is that I eventually figured out how to style bangs properly and grew to love them, and while I ended up letting them grow out when I become a mom, I’m sort of toying with the idea of cutting bangs again once fall hits. But I’m determined to do it the right way this time, so I’ve been saving photos to my iPhone and searching for the best YouTube tutorials so I can learn the right way to style bangs so I’m not left in a pile of snot and tears on my bathroom floor if and when I decide to do it. 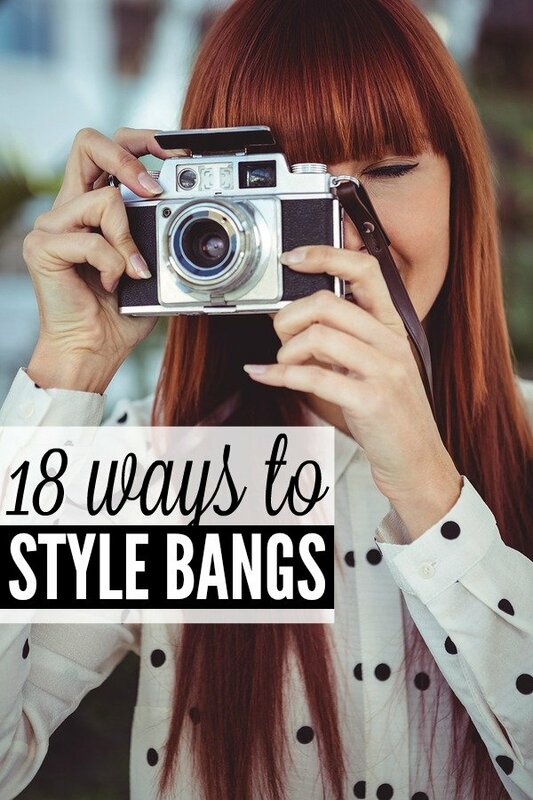 Whether you’re trying to figure out how to get the perfect side swept bangs, need inspiration for dressing up your blunt, straight-across fringe, or want ideas on different hairstyles that will work while you’re trying to grow your bangs out, this collection of 18 different ways to style bangs has EVERYTHING you need to know. 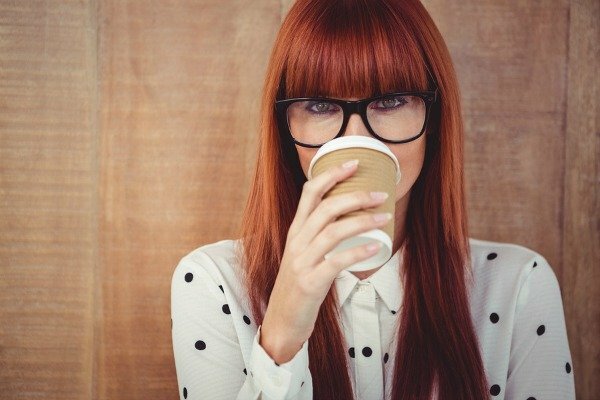 If you liked these different ways to style bangs, please share them on Pinterest! And if you’re looking for more hair-related tips and tricks to keep your locks looking fabulous, please follow our Hair board where we share all kinds of fabulousness.